A new accounting office opened in Long Island City earlier this year by a Corona native who is looking to expand his operation throughout the borough. 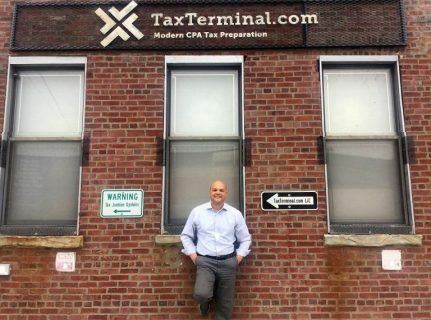 Guillermo ‘Will’ DeJesus, a Certified Public Accountant who owns an online tax preparation company named TaxTerminal.com, opened an office in the Hunters Point section of Long Island City in January, his third office in Queens. Will, who first established his full-service tax and accounting practice in Corona in 2014, offers business owners and individuals the ability to tap into his proprietary online program, TaxTerminal.com, to get remote tax preparation assistance from over 50 tax professionals nationwide. Him and his team of CPAs also offer face-to-face tax consulting and planning strategies out of their three Queens offices, the other two being located in Corona (104-01 Roosevelt Avenue) and Jackson Heights (79-23 37th Avenue). 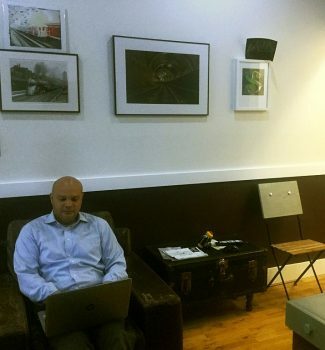 Will said he opened in Long Island City to help new businesses that are coming into the area, the same way he helps new and long-standing Jackson Heights and Corona businesses out of his first two offices. “LIC is where you have a lot of startups and first-time business owners moving in,” he said. “We want to make sure that we can help them early on, so they can make the right tax decisions so they can save time and money,” he said. The firm has 10-15 experts in the three offices during the January to April tax season and five during the offseason. However, with the firm’s online tax program, he has as many as 50 tax professionals available to work nationwide with clients from any neighborhood who use his service remotely. The TaxTerminal.com web application provides virtual consulting and remote, over-the-web tax preparation by way of certified tax professionals as opposed to software that requires individuals to file their own taxes. “Via my web app, clients can engage in their tax preparation without leaving their home or office, and without having to do it themselves which can increase the risk of making costly mistakes,” he explained. Will, who was born and raised in Corona, started his firm after working for a number of Fortune 500 companies. “Following my graduation from Queens College in 1998, I became a management auditor for Sony Entertainment, The Rockefeller Group and Altria Group Corporation,” he said. Before starting TaxTerminal.com, Will was also a senior management consultant for Deloitte and Touche, the global accounting firm. “After working closely with large organizations, I decided to go back to my humble roots and help the people who need it most,” he said. In his spare time, Will teaches a cyber security course at Baruch College and enjoys helping startups achieve their goals. As such, he is offering Jackson Heights, Corona and Elmhurst residents and businesses free consultations throughout the summer. For more information, readers can contact Will directly at 718-672-7829, or visit TaxTerminal.com.